There are around 30 species of the genus Tagetes, all being native of the southern parts of North America. Cultured varieties often have velvety yellow-brown or orange-yellow petals. Most Tagetes have a pungent, characteristic odour with a sharp, fruity-winey-green nuance when the leaves are touched or broken. Acyclic monoterpene ketones are the primary odorants, with tagetone, dihydrotagetone and ocimenone as the most important . 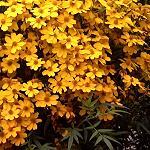 Tagetes oil has been used on a small scale for special effects in perfumes. 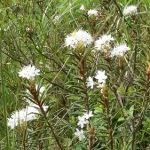 Marsh tea is a small bush belonging to the heath family. 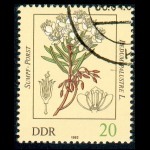 It grows in peaty soils, shrubby areas and moss and lichen tundra in the coniferous zone of the northern hemisphere. The leaves can be used to make a very palatable herbal tea, formerly a favourite beverage among Athabaskan and Eskimo people. In Denmark, marsh tea is only found in one small location in northern Jutland, but in northern Sweden, for example, marsh tea is abundant and forms dense stands. The leaves, twigs and flower stalks are sticky from a fragrant resin that can be smelled at a distance on hot summer days. The genus Cryptocarya of the family Lauraceae is comprised of more than 350 species distributed throughout the tropics, subtropics and the temperate regions of the world. 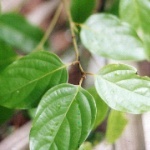 Several species from this genus have been used extensively as traditional medicines in a number of ethnobotanical practices. The massoia tree, C. massoia, is a species endemic to the island of New Guinea. It is a medium-sized tree with optimal growth in rainforests between 400 m and 1000 m altitude. The aromatic bark from the tree has been an article of commerce for centuries. For example, it has been used by Javanese and Balinese women to prepare a warming ointment, called bobory, with a pleasant smell. It is said that white people get a scarlet blushing of the skin from this remedy, and today the concentrated oil from massoia bark is considered a skin irritant. Massoia bark has a sweet, coconut-like aroma and is steam distilled to yield massoia bark oil. The bark is obtained by cutting the tree at the base, making circular incisions at one meter intervals, lifting the bark off and allowing it to dry. Each tree yields on average 65 kg of air dried bark. Current global supply of massoia bark oil comes from Indonesia, primarily from Irian Jaya which is the western half of New Guinea. A recent investigation by Rali et al. 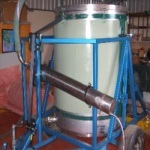 showed that exhaustive hydro-distillation of the bark, heartwood and fruits of the massoia tree afford pale yellow-coloured oils in 0.7, 1.2 and 1.0 % yields, respectively. Detailed chemical evaluation of these distillates using GC/MS revealed the major components in the bark and heartwood oils to be the C-10 massoia lactone, or 5,6-dihydro-6-pentyl-2H-pyran-2-one, (65-68 %), and the C-12 massoia lactone, or 5,6-dihydro-6-heptyl-2H-pyran-2-one, (17-28 %), while the major fruit oil constituent was benzyl benzoate (68%)  . Massoia bark oil is used in the flavour industry as an additive in butter and milk flavors (international FEMA code 3744) under kosher guidelines  . The massoia lactones are rare essential oil components and have only been found in a few other plants. 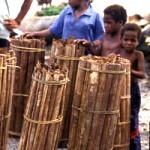 The photo on the right shows an experimental still used by professor Topul Rali, Ph.D., University of Papua New Guinea (personal communication). 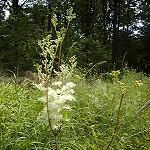 Meadowsweet thrives in the humid soil of meadows, forming dense stands along ditches and brooks. The sweet-smelling flowers contain salicylic aldehyde and methyl salicylate in the form of glycosides . If you crush the flowers between your fingers, the spicy-sweet, almondy-phenolic odour of salicylic aldehyde is clearly perceived. Etymology: Meadowsweet was formerly placed in the genus Spiraea. From this origins the name of one of the mostly used drugs of all, namely Aspirin. The history is as follows: Since old ages it has been known that a watery extract from willow bark is an analgesic and antipyretic. In 1820 the active compound was isolated, a glycoside to be called salicin from the name of the willow genus, Salix. Salicin is converted to the active compound salicylic acid in the body. 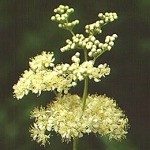 This compound had been isolated from meadowsweet flowers in 1835. Pure salicylic acid, however, damages the mucous membranes of the stomach, and it was not before Felix Hoffman at the German company Bayer in 1893 invented an industrially feasible synthesis for the O-acetyl derivative of salicylic acid that a new, useful analgesic was achieved (Hoffman tested this compound on his father who suffered from arthritis - with beneficial results!). 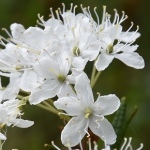 Hoffman called the new drug Aspirin ('A' for acetyl, 'spir' for Spiraea). Concerning salicylic acid esters - see wintergreen! Some people believe this flower to be a jasmine. 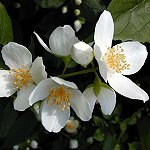 However, Philadelphus belongs to the saxifrages family. It is a popular bush in temperate gardens, following lilac in bloom. The flowers have a beautiful fragrance (much different from that of jasmine). For unknown reasons hybrids have been created with odourless, filled flowers. Modern headspace GC-MS-technique (gas-chromatography/mass-spectrometry) has made it possible to analyze the fragrance from live flowers, leading to astonishing discoveries. 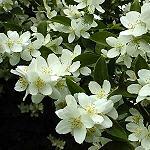 In the case of mock orange it is revealed that two compounds are dominating: trans-myrtanal (46 %) and 2-aminobenzaldehyde (10 %). The homoterpene 4,8-dimethyl-1,3(E),7-nonatriene is another major component . When cut flowers are kept in a vase for some time, the scent of the flowers changes. The odour of indole gradually becomes dominating.